MBARARA – Mbarara City made sweet revenge on their sworn enemies Nyamityobora with a confertable 3-0 win at Kakyeka on Friday evening. Having lost the first encounter between the two sides 2-1 at Wankulukuku, Livingstone Mbabazi’s men ensured they get one over their City rivals with Makuweth Wol, Paul Mucurezi and Jude Ssemugabi all on target for the Ankole Lions. Mbarara started brightly and were rewarded inside two minutes when Wol converted cross close range after he was played in by Ibrahim Orit’s headed pass. Despite Nyamityobora starting to gro into the game and creating good opportunities for themselves, it was Mbarara who struck the second as Mucurezi tapped in home a Jude Ssemugabi pass on 26 minutes. Moments after the goal, Nyamityobora called for a surprise early change with Sadam Masereka replacing fellow January signing Peter Otai. A few minutes after coming on, Masereka nearly repaid the coach’s faith but slotted wide of the target while one on one with Mbarara custodian Ali Kimera. There was a second change for Nyamityobora three minutes to the end of the first half when Fredrick Mayindi was withdrawn and replaced by Ibrahim Mpengere. As the second half kicked off, Orit had a chance to make it three but his shot from distance missed target by just a few inches. Jude Ssemugabi put the result beyond doubt with a wonderful strike 71 minutes to make it 3-0. With the back facing the goal, Ssemugabi superbly controlled a teasing ball into the area by Mucurezi before he swiftly turned to shoot past Otim. 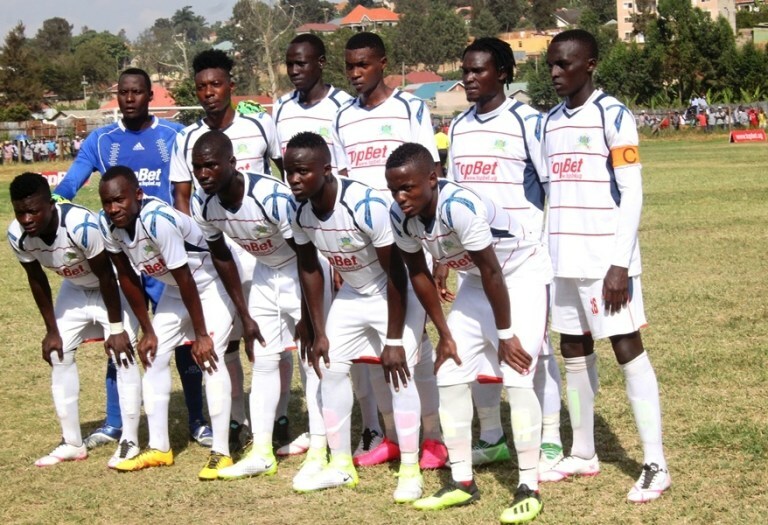 The result meant that Mbarara City have now won 10 of their first 18 matches, and subsequently move onto 35 points, five behind the leaders KCCA who visit Bright Stars on Saturday. Nyamityobora consequently suffered their 12th loss, spelling more doom for the Abanyakare who are still 14th with just 12 points with 12 matches to play. Nyamityobora’s next assignment will see them host Express FC next Tuesday while Mbarara City are away to Bright Stars on the same day.